Product code: 1782 Categories: Sold Items, Sold Rolex Watches. 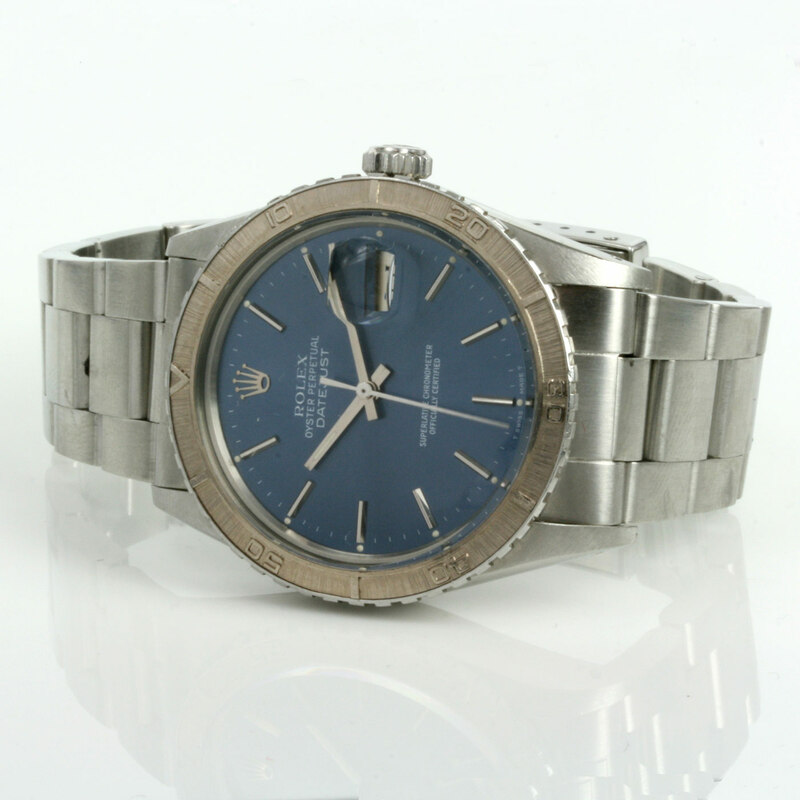 This Rolex Oyster Turnograph has all the right look that a vintage Rolex should have, a great solid stainless oyster steel case, fitted on a Rolex Oyster band and a wonderful looking blue dial with the rotatable bezel. The Rolex Turnograph was made for timing everyday things such as parking meteres rather than decompression times as the Rolex Submariner would, or dual timezones such as the Rolex GMT Master is able to do. With its 18ct white gold rotating bezel that looks so good against the blue dial and stainless steel case that measures 37mm across plus the screw down crown, this is a handsome and unique vintage Rolex watch that will always look superb for any occasion.